Today, the Internet Innovation Alliance (IIA) submitted its white paper, Evolving Preferences – Consumer Preferences Tilting Towards Mobile Broadband, to the Federal Communications Commission (FCC) for consideration in its annual inquiry into the deployment of advanced telecommunications capability. After completing its assessment, the FCC reports on the availability of “advanced telecommunications services” and determines whether it is being deployed to all Americans in a reasonable and timely fashion. IIA’s filing provides the FCC with up-to-date facts about consumer preferences, behaviors, and activities to help the FCC conduct its inquiry and prepare its report. The IIA white paper is based on a comprehensive market research report conducted by the independent firm CivicScience. Both the white paper and the independent research show that consumers now view fixed and mobile broadband service as essentially the same. Today’s filing also shows that consumers use mobile broadband to perform bandwidth-intensive activities like streaming video and applying for jobs. These trends are common across different demographic groups of consumers; rural and urban, younger and older, and consumers of different races share similar preferences for Internet access. Distinctions between broadband delivery methods no longer matter to U.S. consumers. The market research shows that almost as many consumers prefer to access the Internet through mobile as through cable modems – and more consumers prefer to access the Internet through their mobile devices than do those who prefer the fixed broadband means of fiber and digital subscriber line (DSL) service combined. And furthermore, 1 in 5 U.S. consumers expressly state that they have “no preference” for how they access the Internet. Fully 43% of respondents either prefer mobile access or express no preference as compared to 47% expressing a fixed broadband alternative preference, showing essential equivalence. As would be expected in a highly competitive market, these results show that consumers have many options and express no clear preference for how they access the Internet. Consumers are willing to switch to mobile-only Internet access. Millions of consumers across all kinds of demographic groups have already done so – younger consumers, older consumers, consumers of all races, consumers living in cities and consumers living in rural areas. And contrary to the FCC’s conclusion in January 2016, concerns about affordability are not the main reason consumers are reluctant to switch. A clear majority of consumers now use mobile devices for “bandwidth and data-intensive applications” like streaming multimedia content. Over 57% of consumers use their mobile devices to watch news and sports, as well as stream movies and television shows from services like Netflix, Hulu, YouTube, and other content providers. Mobile devices now play an important role in completing homework assignments and applying for jobs. Nearly 1 in 2 U.S. households with children have used mobile devices to complete homework assignments in the past year. And 1 in 4 U.S. consumers have used mobile devices to apply for a job in the past year. 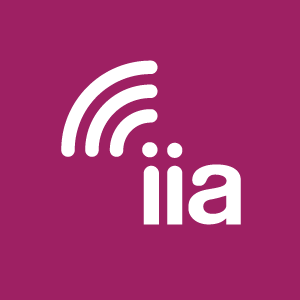 Given these new data points, IIA believes it is now time for the FCC to recognize that mobile and fixed broadband services are “functional substitutes” in order to reflect current consumer preferences. Adopting this view will modernize the FCC’s approach to reporting to Congress on broadband deployment. 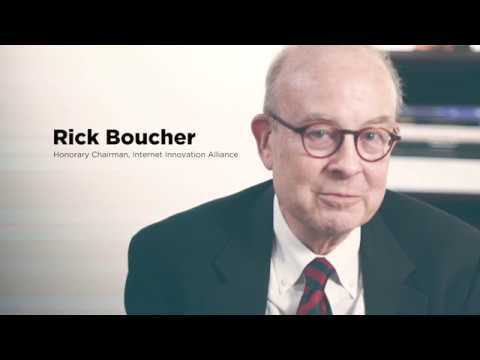 Review IIA’s Ex Parte filing of the IIA white paper and CivicScience Consumer Preferences Report here.